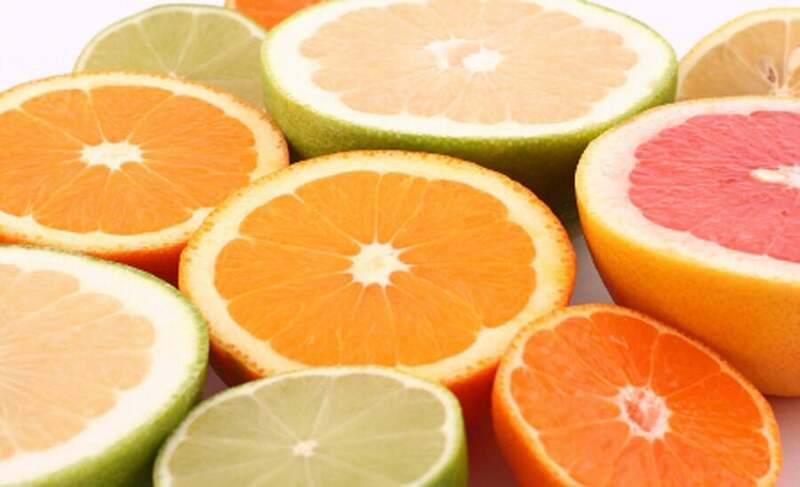 Even if you eat just one a day, grapefruit has multiple health and nutrition benefits. 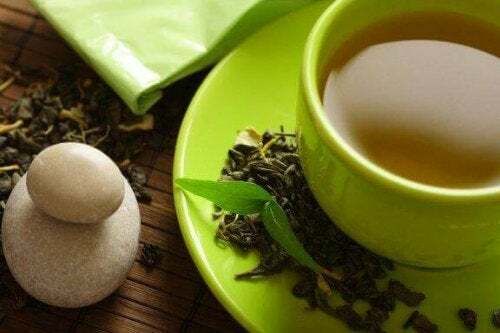 It not only keeps colds and flus away, but also improves your circulation, prevents certain types of cancer, and can even help you lose a few pounds if you eat it a certain way. 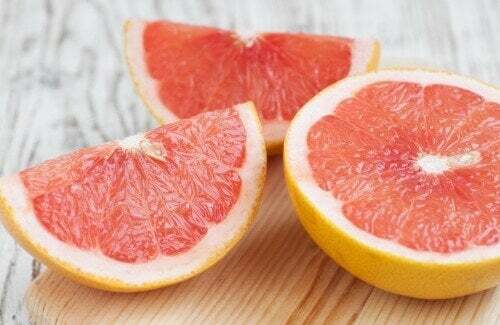 Grapefruit has some amazing health qualities. 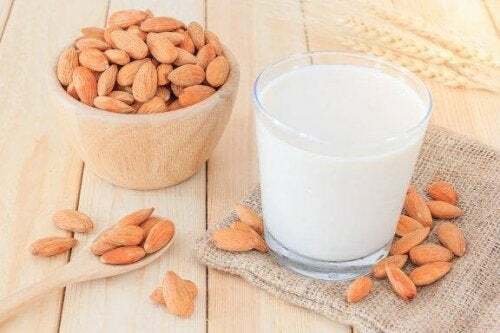 It’s an excellent source of vitamins, which makes it a great addition for your daily diet. On top of that, you can even lose weight with grapefruit. It has the ability to block the enzymes involved in the accumulation of fat, which will help you burn it off and keep it away. It’s an essential source of vitamins B1, B2, B3, B5, B6, and E.
It’s rich in vitamin C, betacarotene, and bioflavonoids. It protects you from cancer risks. It eliminates toxins and improves digestive and kidney functioning. It’s ideal for strengthening nails and hair. It’s great for relieving prostate inflammation. It stimulates white blood cell production. Basically, what makes it possible to lose weight with grapefruit is that it makes you feel satisfied, full. 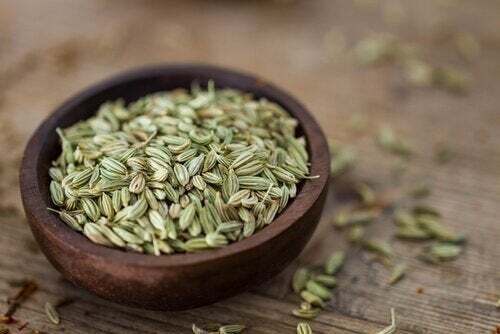 It also has diuretic properties that help you burn fat. 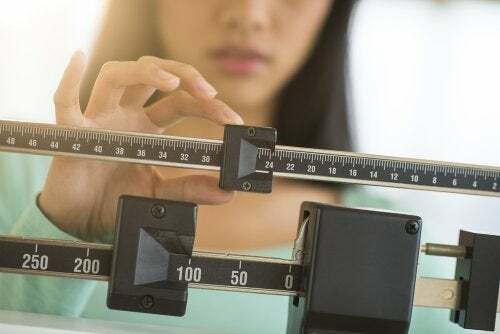 Just remember: it’s a semi-fasting diet and you can’t stay on it for more than 3-4 days, because you’ll mostly be having grapefruit juice and salads. So, you’ll be burning plenty of fat over these 3-4 days, but you’ll be getting incomplete nutrition. There won’t be enough iron, calcium, or other important nutrients in your diet, which is why you should only do it for a few days. But it will help you drop a few pounds in a short amount of time. Breakfast: Half a grapefruit. Coffee or tea (with no sugar). Lunch: Grapefruit juice. 1 cooked egg. A rocket, lettuce, tomato, and cucumber salad. Use a little bit of lemon for dressing. Whole wheat toast and a slice of pineapple for dessert. Dinner: Half a grapefruit. A lettuce salad with apple vinegar dressing. 150 grams of grilled turkey breast. Breakfast: Half a grapefruit and chamomile tea. Lunch: A glass of grapefruit juice. A spinach and walnut salad. Cooked white rice with a little bit of olive oil. A few small slices of papaya for dessert. Dinner: A glass of grapefruit juice. 150 grams of baked salmon. A tomato salad. A slice of pineapple. Breakfast: Half a grapefruit. A cup of coffee or tea. Lunch: A glass of grapefruit juice. Baked eggplant. Whole wheat fast with a little bit of olive oil. An apple. Dinner: A glass of grapefruit juice. A lettuce, spinach, walnut, and turkey breast salad, with lemon as a dressing. Papaya juice. You should drink at least two liters of water a day with this diet. 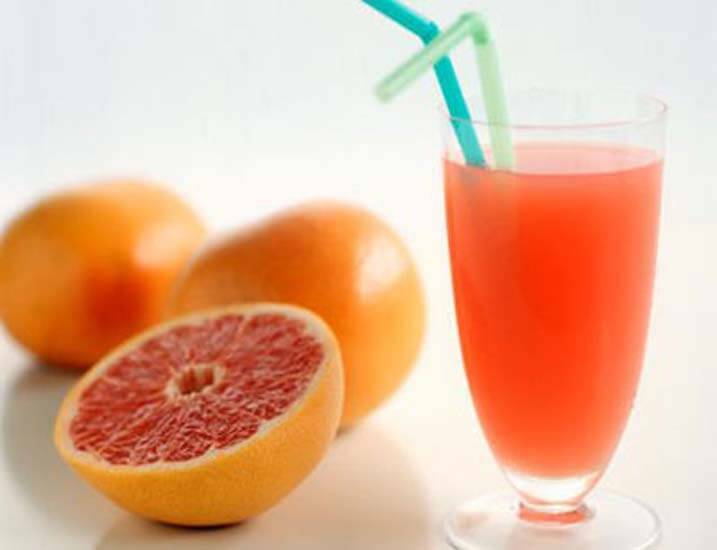 Grapefruit is very diuretic and you’ll need to stay continuously hydrated. If you’re hungry between meals, have an apple. It will leave you satisfied and it’s also very healthy. This is a very restrictive diet and you shouldn’t follow it for too long because you won’t be getting the necessary nutrients. But you can do it two times a month, for example, and will definitely see results if you follow our tips to lose weight with grapefruit.